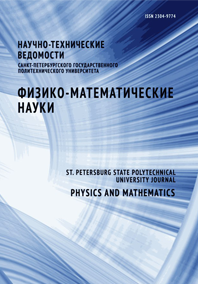 Miroshnikov Konstantin A. Simakova Maria N.
In this paper the gp181 peptidoglycan hydrolase (structural lysin) of phiKZ bacteriophage Pseudomonas aeruginosa has been investigated. The study of gp181 was performed using directed deletion mutagenesis. The assumption that the C-terminal part of gp181 may be involved in the infection process as the sensory molecular needle-like cell-puncturing device of phiKZ was experimentally confirmed.